WusGood: “What’s your fav thing bout being Slytherin? Did you not hide your dislike of the ill-fitting Christmas gifts well enough? Was Christmas the last time you spoke? or that you aren’t hearing her talk? She says you must answer her riddles before you can reach out to the woman who birthed you. If a daughter stops looking for her mother’s approval does it matter if it was never there? If a mother disowns her own mother and a daughter then disowns her is this a grudge or a genetic trait? If a mother hears her daughter being beaten by an angry son in another room of the house, perhaps even the room right next to her own, and pretends she does not-is she still a mother? is that some sick and righteous karma or an inheritance? is she holding a grudge? like her mother should have? will it hurt more or less when the mother is careless with her again? its sins not washed from it but ground in and belonging wholly to it now. Am I not just an ocean too? Do you hear the waves in me? Do you see how I push and pull with the moon? Aren’t I feared for the size of me? Aren’t my depths unreachable? Do I not also have some mystical siren song thrumming within? my arms and yours are also water. and then set a reward for our heads. here, even the rigid wood of shipwrecks eventually goes gentle. Rachel Wiley is a queer, biracial poet and performer from Columbus, Ohio where she somehow holds down a rather boring day job. She is a feminist and a fat positive activist. 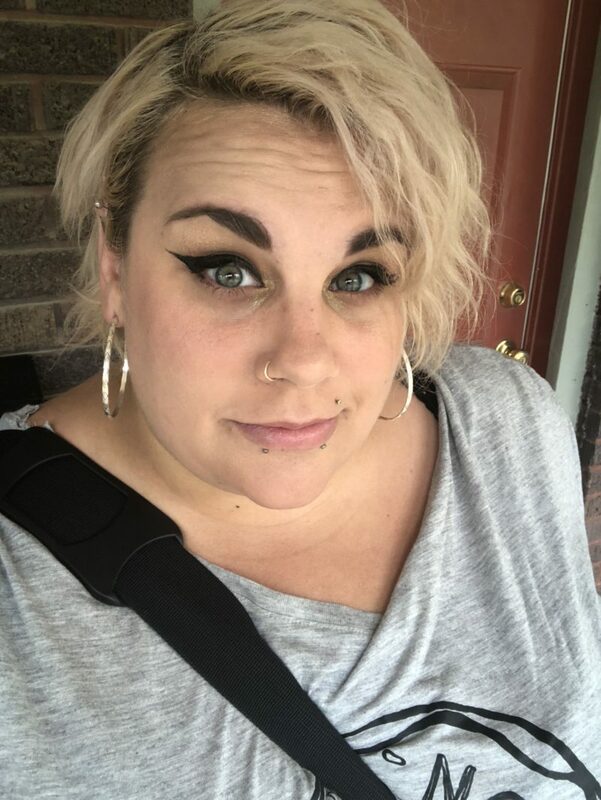 Rachel is a fellow and faculty member of the Pink Door Writing Retreat held each year in Rochester, New York for women and nonbinary writers of color. She has toured nationally performing at slam venues, colleges, and festivals. Her work has appeared on Upworthy, The Huffington Post, The Militant Baker, Everyday Feminism and PBS News Hour. Her first poetry collection, Fat Girl Finishing School, was published in 2014 by Timber Mouse Publishing. Her second collection, Nothing is Okay, was published in March 2018 by Button Poetryand spent some time as Amazon’s #1 Gay & Lesbian Poetry Collection.